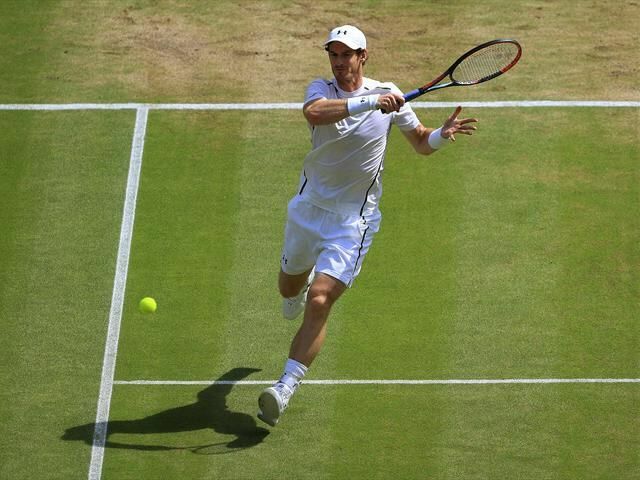 Andy Murray has become Wimbledon champion once again after beating Milos Raonic 6-4 7-6(3) 7-6(2) with a magical performance in the men's final. Murray's victory gives him a second Wimbledon crown and a third grand slam title to add to his 2012 US Open and 2013 Wimbledon victories. And while the finals of both of those matches kept fans guessing right until the end, this time round there was no such drama as the Scot delivered an immaculate performance against his Canadian opponent. "I've had some great moments here and some tough losses," said the winner. "I played really good stuff today - but Milos has had a really great few weeks on grass. His win against Roger Federer was a really, really great match." "It's a difficult challenge, and Andy's been playing brilliant," said Raonic. "He deserves it, so well done Andy. "This one's going to sting... so I'm going to make sure I do everything I can to come back here and have another chance." "It's been a phenomenal two weeks, and before that at Queen's as well." From here, Murray now faces another challenge: retaining the Olympic title he won in London four years ago. And on the evidence of his Wimbledon campaign this year, few would bet against the Scot enjoying another golden slam summer to match his breakthrough year in 2012.